This past weekend we hosted our 1st birthday party inside the house. We decided to do a joint party for Eleanor (who turned 4) and Camden (who recently turned 2). 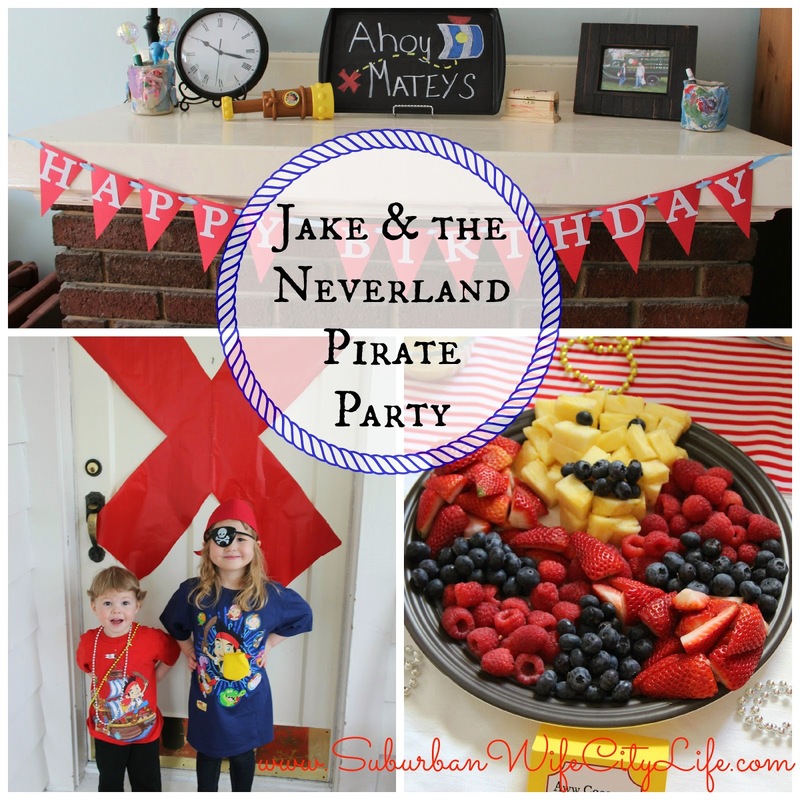 When I asked Eleanor what kind of party she wanted to have she told said a “Jake and the Neverland Pirate Party” Since Camden loves Jake as well I thought it was perfect. I’ve always enjoyed prepping for parties so the month leading up I was working on the small details to make it fun and interactive. Since we’re working with 2 different age groups I tried to keep it simple, but let’s be honest that’s not me, so there were a lot of details. When our pirates arrived they recieved a map letting them know of the adventure they would begin. The 1st stop by Dress like a pirate. 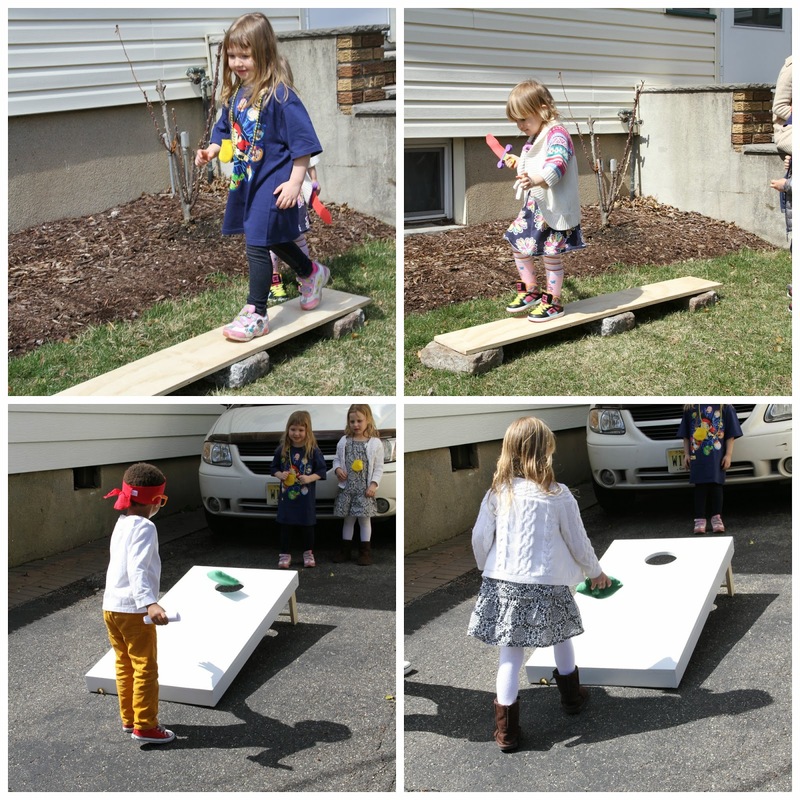 It was outside to walk to the plank and play treasure toss (we used a plank we had lying around and some blocks and part of a corn hole set for the treasure toss) Thank goodness it was a nice day. Then back inside for Bucky Cake and Happy Birthday. (Mike and I make the Bucky cake and island and I’ll have the tutorial up soon!) You can find the tutorial on how we made it HERE! Finishing up where X marked the stop to get their loot. 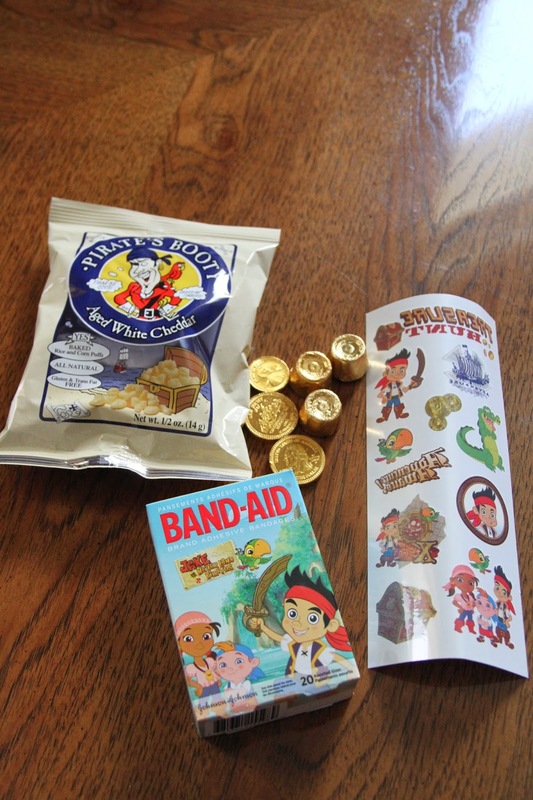 (We used red wrapping paper for the X on the front door) The kids left with tattoos, gold dublooms, Jake band-aids and a bag of pirate booty. When it comes to the food I like to keep with the theme. 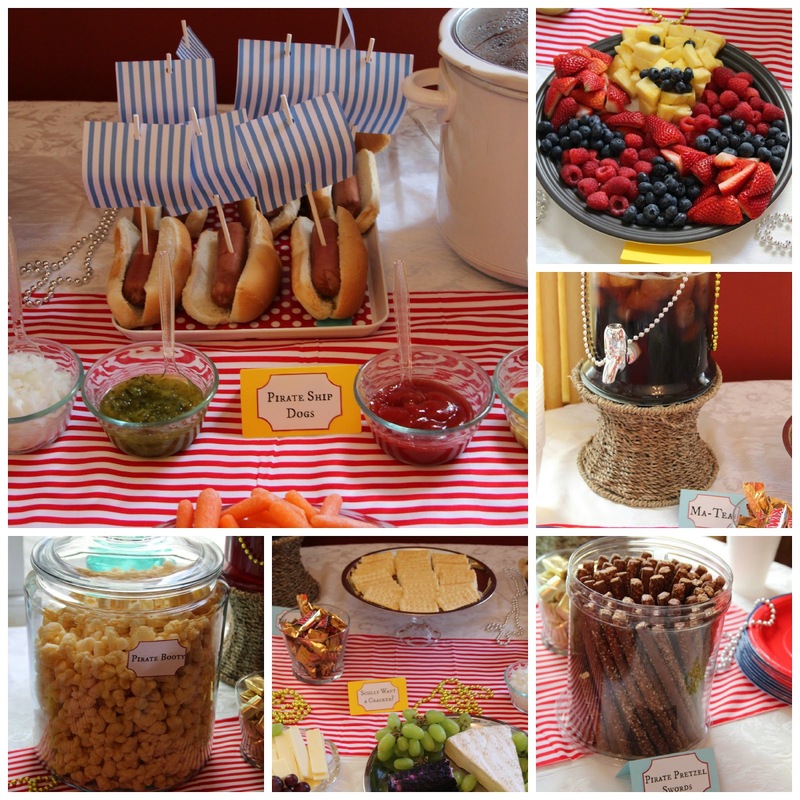 We had pirate ship dogs (hot dogs) Cannonballs (sweet meatballs) pirate booty, pretzel swords, cheese and crackers (Scully want a cracker), Cross bone veggies, Ma-tea (sweet tea) and Pirate Punch (juice already watered down) with gold candies scatter though out the house. It was a perfect party and the kids loved playing and having fun, chatting singing and celebrating both their birthdays. Thanks to everyone for making this the best 1st home birthday party in our house. Cute as always! I can't get over that cake! Mom of the year right here! So cute! I bet everyone had so much fun! I love birthday parties!